According to palmistry, or palm reading, your hands and palm lines are mirrors that offer deep insight into all aspects of your personality and life — even your love life. They reflect your greatest strengths and weaknesses, who you’re compatible with, and even what your emotional needs and preferences are in dating and relationships. So when it comes to figuring out your love compatibility in relationships, learning how to read palms can reveal a lot about your ideal partner or current relationship — and whether or not you’re one of the people who is either likely to wind up with, or may already be in a relationship with, your “fatal attraction”. Despite its scary-sounding name, a “fatal attraction” isn’t necessarily a bad thing. In fact, you’re going to feel insanely drawn and compelled to this person (and them to you), and your chemistry — initially at least — will be off the charts. But don't mistake this spark for true love and relationship compatibility. The passion of a fatal attraction relationship feels good for a while, but. like a candle burning at both ends, your romance will also burn out twice as quickly. Consider your fatal attraction to be a person that you simply have no long-term love compatibility with, but that you feel an intense attraction to and crave being with. You’ll believe you love them, even when your relationship is going nowhere fast. You may even be seriously bad influences on one another, which can lead to a bevy of other issues with your health and overall happiness. Your fatal attraction could just be there to show you what type of person you don’t want to be with — the universe's way of trying to teach you what you need in healthy relationships. Think oil and fire. You’re going to wind up hurting each other in the end, even though it may be a love-fueled, passionate ride until you get there. Everything will feel great right up until it doesn’t, and then you’ll begin to see that they’re really not healthy for you to be with. And while everyone has dated someone that was “not great” for them, learning how to decipher your hands and palm lines can reveal signs that you’re either going to attract a fatal romance, or you’re already involved in one. Some people have a higher chance to develop this problem — sometimes even more than once — for several reasons, and others will never encounter a fatal attraction. To figure out which camp you fall into, take a look at this simple palmistry guide that shows you exactly what to look for. Here are 5 love compatibility signs to look for in your hands and palm reading lines that reveal if you're falling for a "fatal attraction" relationship. If you’re not sure whether or not that new beau you’ve been talking to is a match that’s going to burn you out eventually, take a look at the basic shapes of both of your hands and determine if you’re opposable elemental types. There are specific “types” of hands that correlate to the four elements: Earth, air, water, and fire. These shapes and the elements they correspond to represent your basic personality. Knowing your element will help you understand who is most compatible with you and who is not. Of these elements, if you two are an earth and fire or air and water match, then you’re going to exhaust one another pretty quickly without even meaning to. Your elements do not work well together, and you’ll easily get frustrated with each other over your many differences. And while knowing that you and your new partner have opposing hand types may not automatically mean you’re in a fatal attraction relationship, it does mean that it has the potential to become one eventually, especially when paired with one or more of the signs. 2. You (or your love) have a broken heart line. Your heart line is the uppermost major line on your hand that runs from your little finger to your middle or index finger. It’s quite common for there to be small “gaps” in this line, where it doesn’t quite meet the other side. This can be for a lot of reasons, but usually indicates that there’s been heartbreak or emotional pain and suffering in the recent past. This could be the loss of a friend, a death in the family, or a breakup, and on its own isn’t too concerning. However, if there is a large, noticeable gap in the heart line, this should be considered a warning sign of deep, deep emotional disconnect, being incredibly injured in a past relationship, or having suffered some kind of emotional issue they’re not over that is still affecting them. A break in the heart line indicates that this person isn’t capable at the moment of true emotional intimacy. They likely need to work on their issue and should address it before trying to get into another romantic relationship, or they will likely become, or fall prey to, a fatal attraction relationship that will hurt them even worse. This line can change over time and “repair” itself as the person heals, so keep looking out for this to heal! 3. A Neptune ring is present. The Neptune ring is located at the base of your palm near the center in the “Neptune” region. This half-moon shaped mark represents the crossroads between your conscious and unconscious mind, where your uncontrolled emotions dwell. If there is a Neptune ring present on someone’s palm, then there is likely some unresolved sadness or rage that may spill out into your relationship. A definite sign to be aware of, whether it’s on your hand or the person you’re interested in, as it may indicate that you’re likely to be in a fatal attraction relationship that isn’t good for either one of you and in fact may cause more than one argument or major fight. 4. A crooked (or weak) little finger. 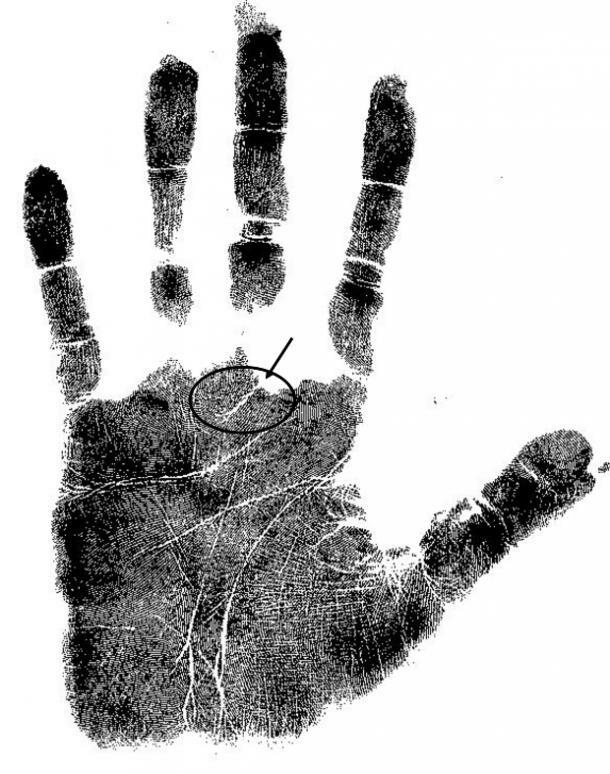 Your pinky finger, or “Mercury” finger as it’s known in palmistry, is a very important one as it indicates trustworthiness and honesty of character. If the person you’re with has a Mercury finger that bends inward or leans toward the hand, it means there may be trust issues—either that you cannot trust them to the tell truth, or that you cannot trust them to remain faithful to you. At an extreme, it can even suggest that this person is manipulative and is likely going to (or has already) been wearing you down emotionally. If you notice this mark and also recognize manipulative behaviors in your partner, then this is a clear sign of a fatal attraction that will not work out for you. 5. They have a short or thin index finger. 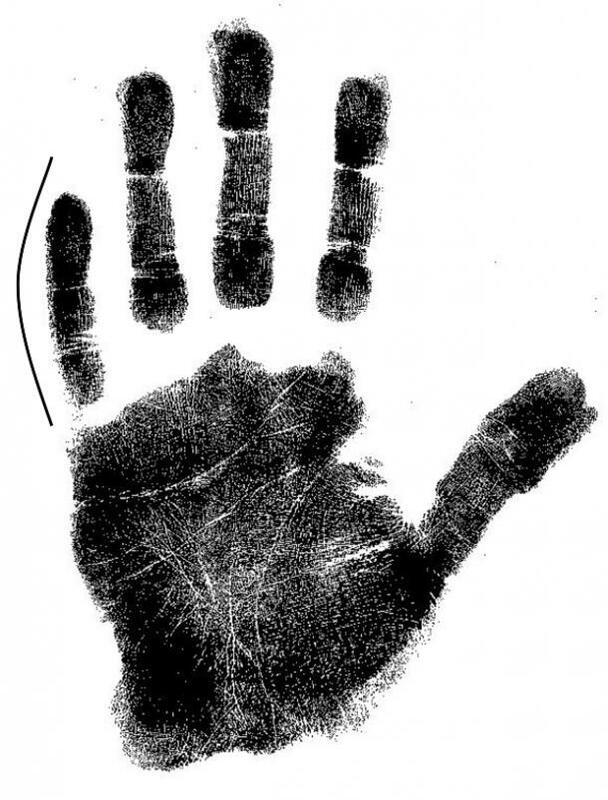 In palmistry, the index/pointer finger is also known as your "Jupiter" finger. Jupiter represents how you look at yourself, so when it's shorter or narrower than the other fingers, it can indicate that you don't see yourself in a very favorable or accurate light. 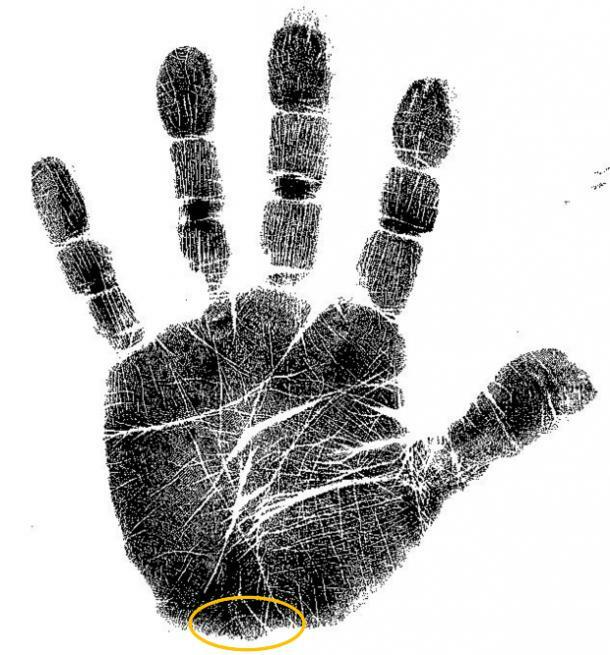 This means there are some severe insecurity issues, so when you're studying hands for potential fatal attractions, you'll definitely want to notice this digit on a potential beau's hand. If you pair the other hand signs with someone who also seems to have a lack of self-confidence or emotional security or maturity, then they are likely a fatal attraction, and your relationship may leave you both exhausted in the end. And even though insecurity in itself isn’t going to mark the end of a promising relationship, the person experiencing it must be willing to look at their pain objectively and go through the healing process so their intimacy in relationships doesn’t suffer. When it comes to love and relationships, things can get complicated, but knowing what simple palmistry signs to watch out for can save you from the pain of a fatal attraction relationship that will burn you both out. Likewise, if you are already involved in one, recognizing your incompatibility with a quick peek at your hands can help you withdraw without being deeply hurt. In all things to do with matters of the heart, the best way to avoid a fatal attraction in the future is to first and foremost love and care for yourself. When you’re coming from a strong place of self-love, it will be nearly impossible for you to get caught up in a bad relationship. When you recognize your true, authentic self, the truth will literally be written in your hands, and your relationships will flourish.